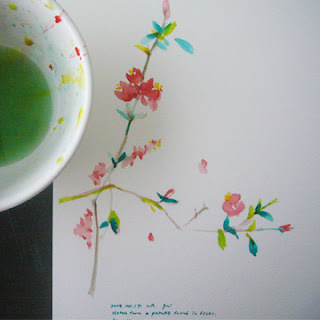 Water color sketch is really fun to do everyday morning. It's like a everyday routine for me after the breakfast and yard work. Right! I do yard work everyday. We are so happy with the "California Wild Flowers Seeds",... everything grows so nicely. So I just got a new pack of seeds, we want to plant some more happy poppies in our back yard. 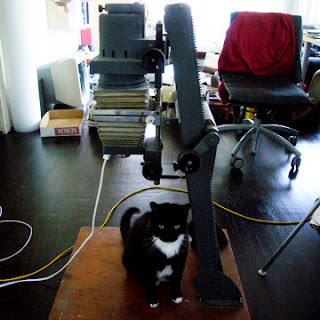 Our big toy _Enlarger has arrived. But we are so not ready for the dark room, we have to do some Autocad stuff this week. And yes, I will be a Cad monkey this week. oh, dear, ymay,. doing sketches doesn't mean that i'm very 優閒. Hi this is Nick from piano nobile. Thanks so much for looking at our site. i love your watercolor *So* much. it is exquisite.